Beautiful Custom Ribbon Window. This piece was made for a dear friend of mine. It has blue and brown glass with blue glass globs with bevel pieces around the outside. For more information call (713) 899 0933. This entry was posted on January 13, 2011 by alliekayglass. 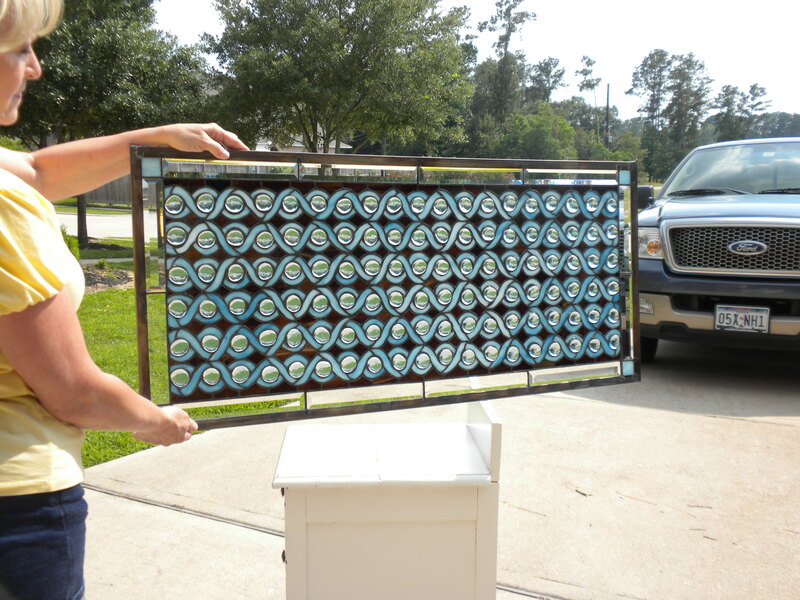 It was filed under Customized Glass and was tagged with Globs, ribbon, Stained Glass, Window.